Doodle Jump just came out with it’s best update ever, the addition of multiplayer! Doodle Jump matches you through Game Center with a opponent (either a friend or random matched player someplace in the world) to play a race against (similar too Fruit Ninja). You race across the usual assortment of Doodle Jump stuff in order to make it to the goal first (or just be the last one standing). The effect is seamless, with a match within seconds. It occasionally is a little choppy, but who cares when you get this amazing free update. 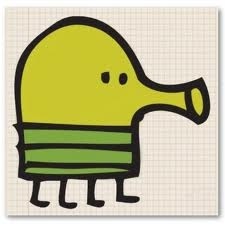 You are currently browsing the archives for the Doodle Jump category.